As the war in Afghanistan wore on during 2008 and 2009, the number of casualties mounted, and included several REME soldiers on detachment. 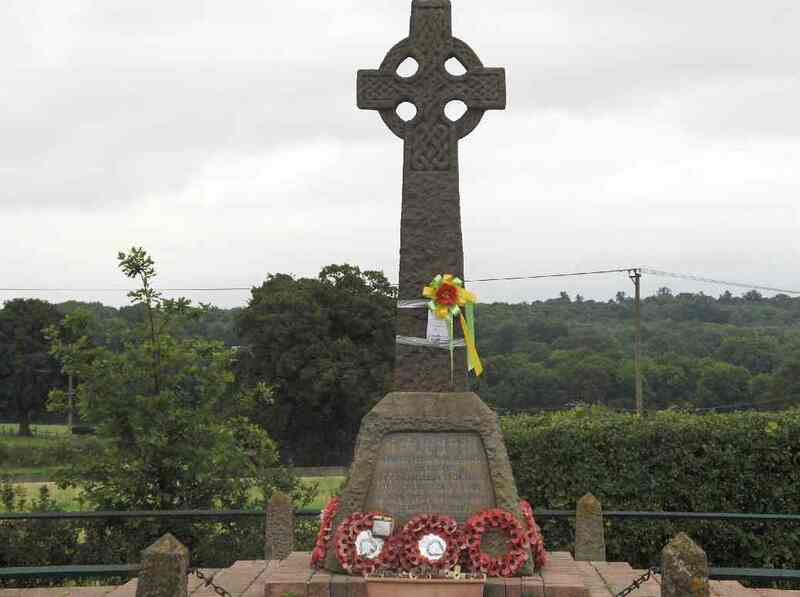 On 4th August 2009, Craftsman Anthony Lombardi, attached as a vehicle mechanic to Emsdorf Troop of The Light Dragoons serving with 'A' Company, 2nd Battalion The Mercian Regiment (Worcesters & Foresters) (2 MERCIAN) was killed by a roadside bomb in Helmand province. Soon afterwards the War Memorial in Arborfield was adorned with a poppy emblem and a laminated message as shown below. 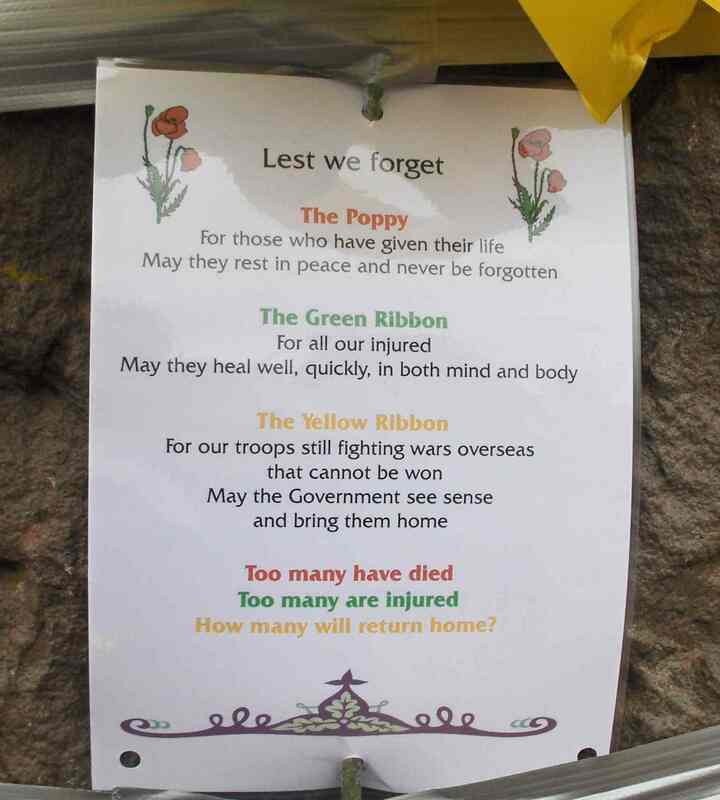 Was it a coincidence? The two additions remained on the memorial, along with the wreaths on the plinth, until the memorial was prepared for Remembrance Sunday, November 8th 2009. 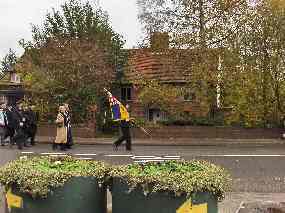 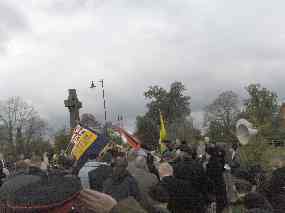 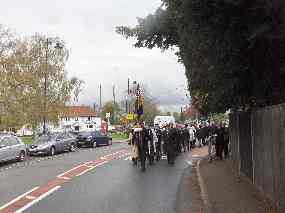 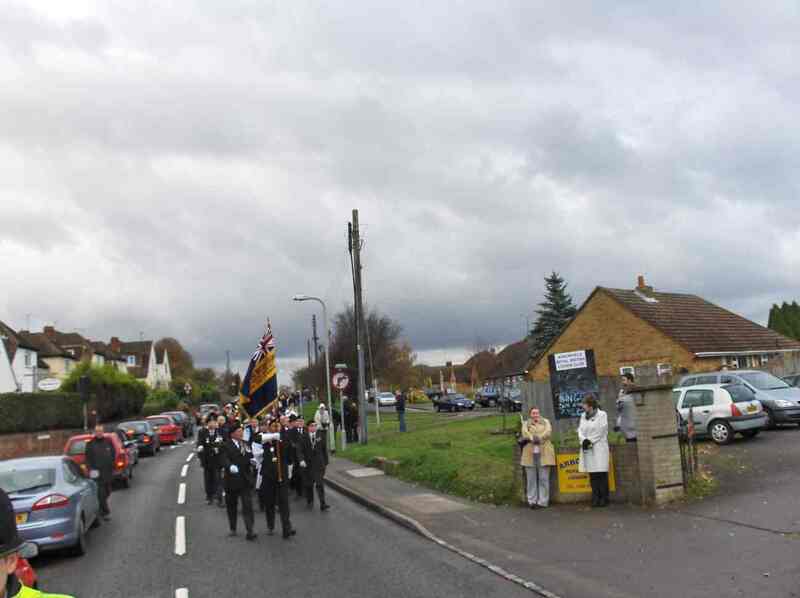 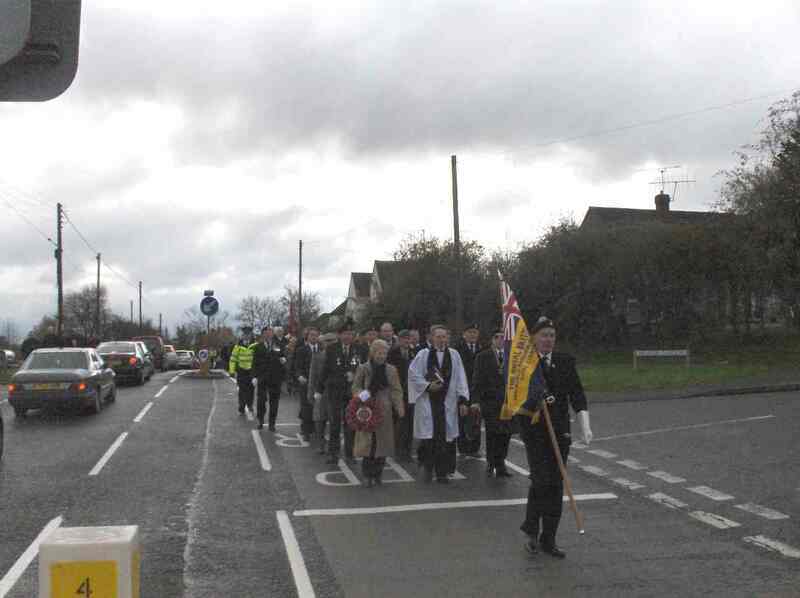 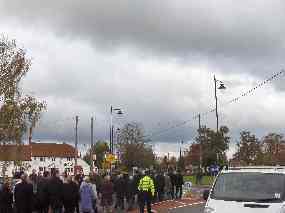 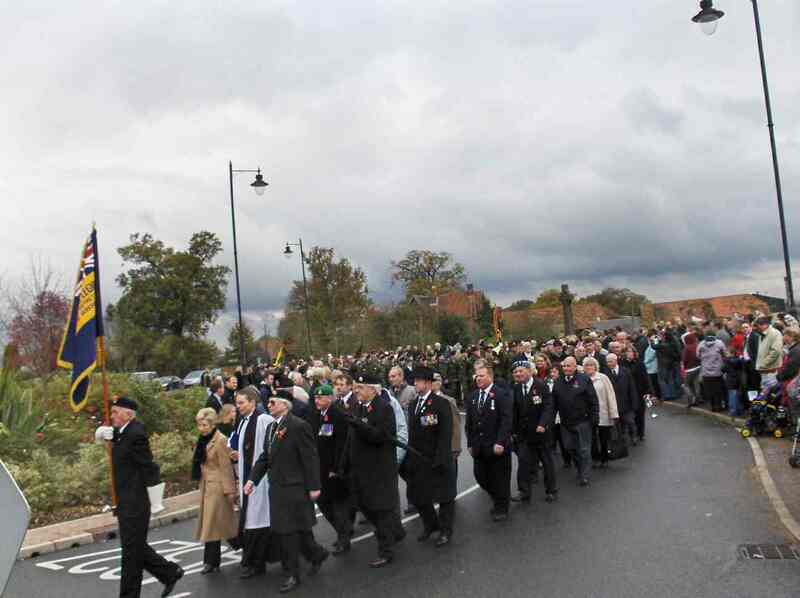 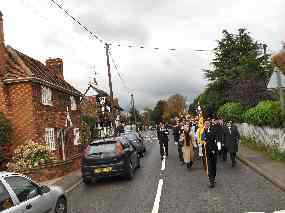 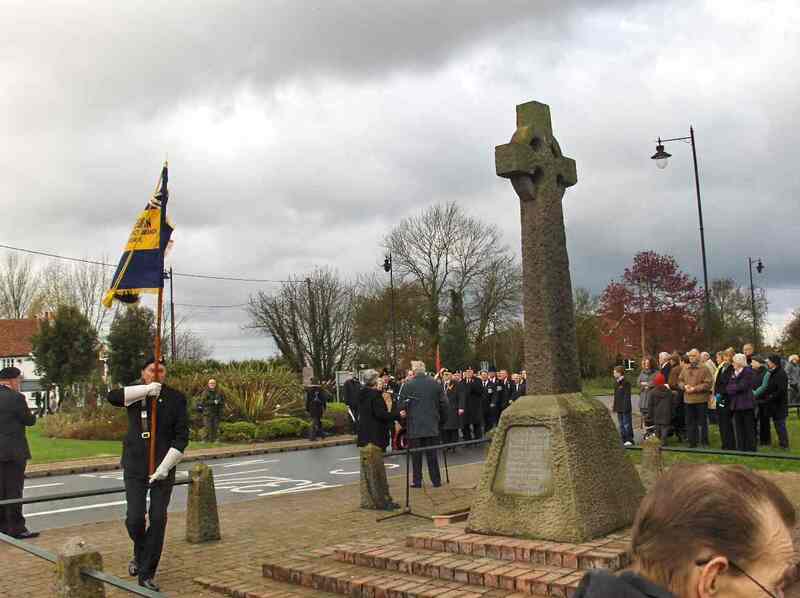 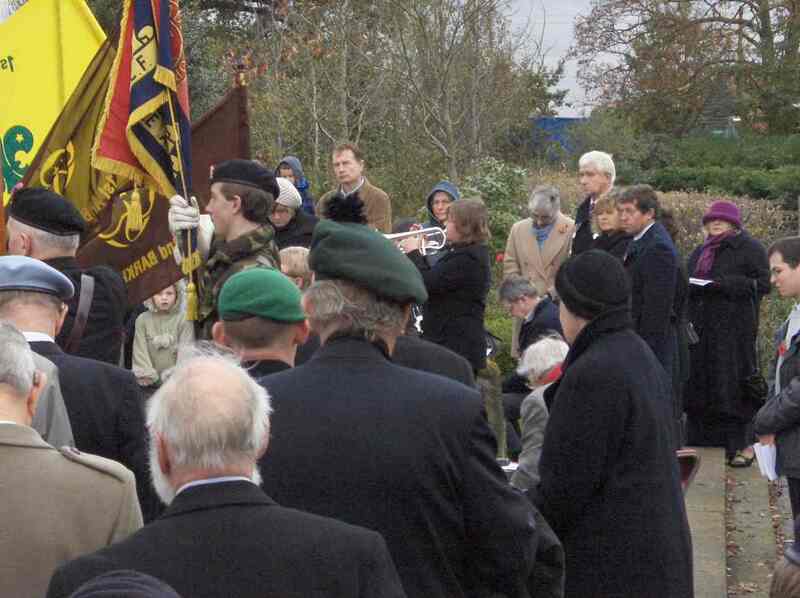 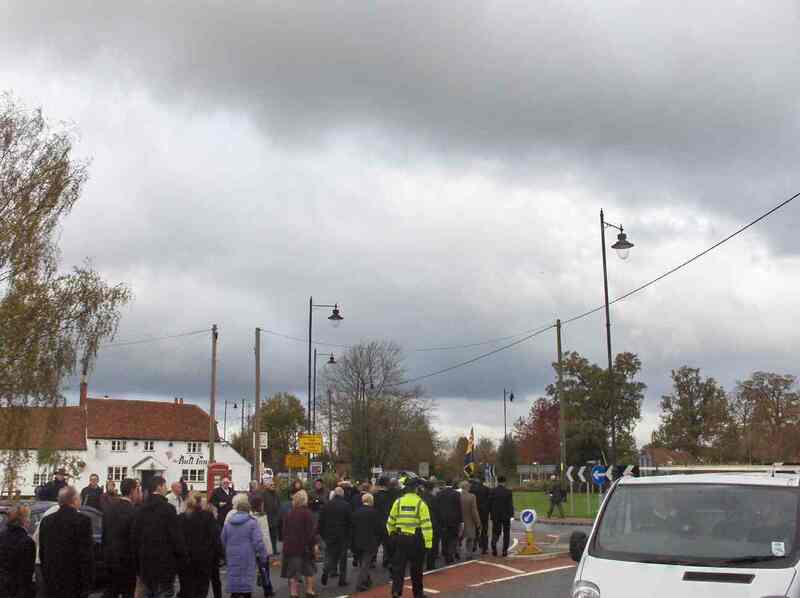 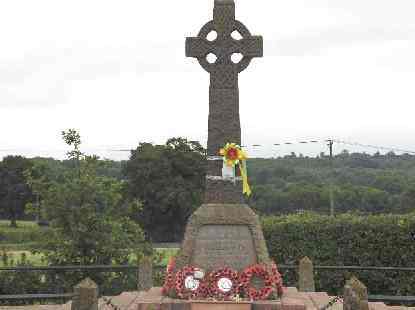 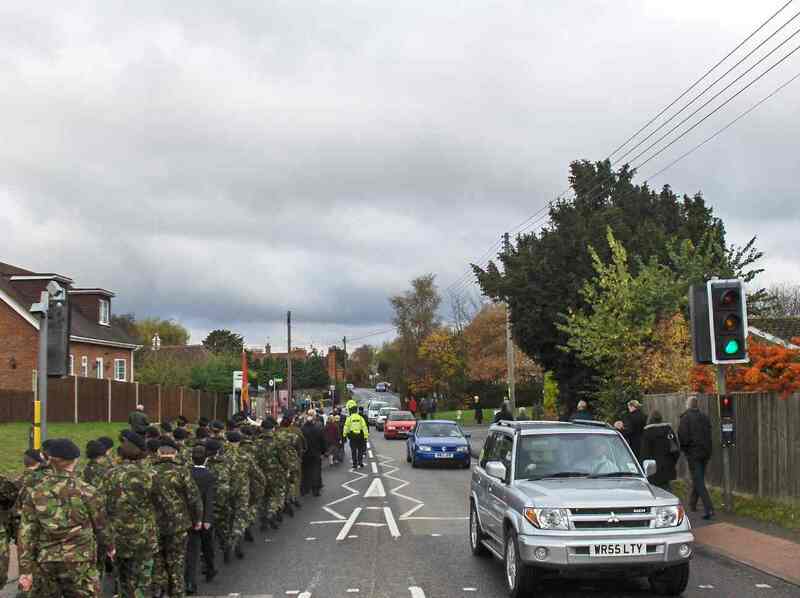 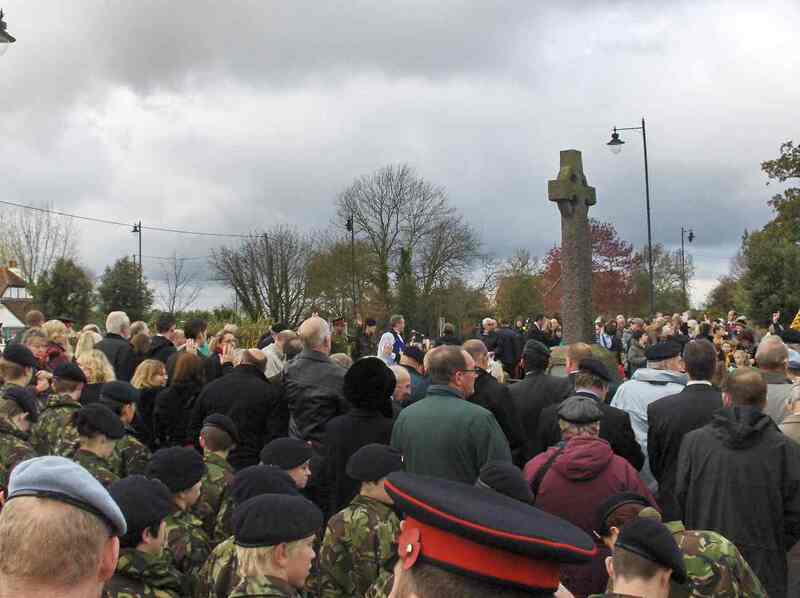 This annual commemoration is usually strongly-supported, but for 2009, attendance was well over 500, bringing traffic to a halt both before and after the service and particularly during the Two Minutes' Silence. 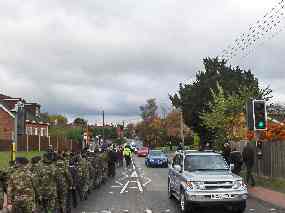 Click on the thumbnail images below to see more of the parade and service.